Satvinder Singh is a Senior Vice President in Citi’s Enterprise Supply Chain (ESC) Systems, responsible for Oracle EBS, Concur T&E and Smart Automation using RPA with Machine Learning. 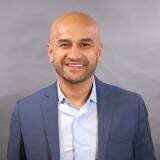 Satvinder is a CPA by training and his early career included the areas of Accounting, Tax and Audit. Subsequently, he diversified into technology related functions and implemented SAP and Oracle ERPs, served in the establishment of Global Shared Service centers, led automation initiatives and reengineered business processes. 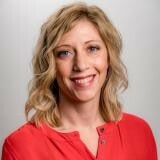 Michelle Little is IT Procurement Operations Manager at Google’s parent company Alphabet, Inc. Michelle’s experience managing Design-through-Delivery supply spans multiple industries including consumer, hospitality, hardgoods, softgoods, electronics and retail. She has managed global sourcing, procurement, supply and service operations with a variety of top tier global consumer brands including Starbucks, Shabby Chic and BCBC before joining Google. Michelle is an experienced, agile, high-energy, long-view strategist with a keen business acumen and a passion for building and leading creative, responsive, high-performance supply chain teams. Shara Holliday is a Director of Strategic Sourcing and Operations in the Microsoft Procurement organization. In this role, Shara leads a team responsible for sourcing, negotiating and operationalizing over $5B in indirect spend across Engineering services, 3rd party software and cloud services, hardware and telecommunications categories. In addition, she serves as a change champion leading and delivering people, process and technology solutions to complex organizational opportunities. Past and future opportunities include simplifying policies, rationalizing the global indirect supply base and digitally transforming how devices get into the hands of Microsoft employees. In addition to Microsoft, she has held Procurement roles at both Starbucks and Boeing. Leading global mobility, networks, telecom, data center and cloud sourcing and relationships for world's most valuable private company. Experienced leader in creating win-win partnerships between organizations and supplier ecosystems. Have led and groomed multinational teams and direct reports. Key partner to CFOs to successfully achieve total cost of ownership reduction goals. Key partner to CTOs for technology renting and buying strategies. 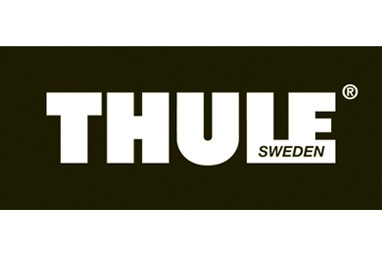 Key partner to chief legal officers for risk reduction, compliance and contracting. Extensive deal-making experience. End-to-end source to pay experience including partnerships, sourcing, procurement, supply chain, logistics, contract law, ERP, market drivers, understanding of cost structures and sales incentives. Regularly engages in executive presentations, reporting, capital and expense planning, cost modeling, inventory planning, analytics, and spend analysis. Seasoned negotiator. Well networked in high-tech industry with a deep understanding of key suppliers and emerging technologies and trends. Possess a trusted network of global peers and mentors in the area of sourcing and partnerships. Regularly partners with organizational presidents and directors to develop business cases, due diligence analysis, continuous improvement and Buy vs. Rent vs. Build strategies. Expert in supplier management and supplier risk management. Have led teams to effectively partner up with legal, finance, risk, compliance, security, HR and business teams to 'get things done quickly' in complex large organizations. 'Sold’ sourcing & partnerships function to senior leaders and built teams from scratch. Managed multiple complex global sourcing teams and initiatives by hiring best talent, building strong working relationships with key internal and external partners, securing ‘a seat at the table’ with stakeholders, and acting as a trusted adviser. Former business development professional, management consultant, media professional and engineer. 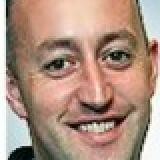 Josh Pickles is a Technology Category Manager at Salesforce.com, the industry leading Customer Success Platform. Josh is based out of the Salesforce Headquarters in San Francisco, the city which he also calls home. 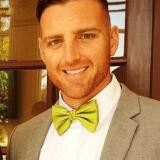 In his current role, Josh has responsibility for Sourcing and Vendor Management activity across Salesforce’s diverse Enterprise Software and Software as a Service (SaaS) supply base. 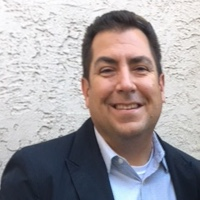 Prior to Salesforce, Josh spent 5 years at Cisco System in a variety of Hardware Supply Chain roles spanning Manufacturing Engineering, Worldwide Fulfillment and Sales and Operations Planning for Data Center and Switching product lines. He holds a B.S. Industrial Technology from Cal-Poly San Luis Obispo with a minor in Packaging Engineering. 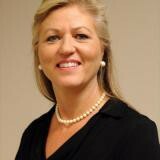 Ms. Gage is responsible for establishing and maintaining Citi’s strategic Source to Pay (S2P) Roadmap for system and operational implementations, with connected platforms to standardize and automate processes, improve data quality, integrate end-to-end systems, and deliver meaningful measures. Citi’s S2P modules include: Sourcing Negotiations, Sourcing Projects, Contracts, Requisitions, Purchasing, Payments, Mobile Tools, and the iSupplier Portal, which enable straight-through electronic processing, while improving user experience through digital technology. Citi’s Enterprise Supply Chain (ESC) delivers world-class, end to end service to Citi’s global businesses through Strategic Sourcing & Supplier Management, Supplier Risk Management and Purchase to Pay Operations. ESC Systems enables Citi’s innovative digital strategy and systemic responsibility, ensuring the supply chain is managed efficiently, effectively, and in a standardized manner through all stages of Citi’s processing of third party operating expenses. Before joining Citi, Sandy was with Oracle’s Financials Industry consulting practice for 7 years, where she oversaw Citi’s Global eBS implementation of Oracle P2P. Before Oracle, she worked in the Financial Institution sector with expertise in business and technical management of banking systems and data warehousing. Sandy’s educational major was in Computer Science. Internationally experienced procurement expert with over 10 years of experience in the field of technology under various roles and responsibilities. 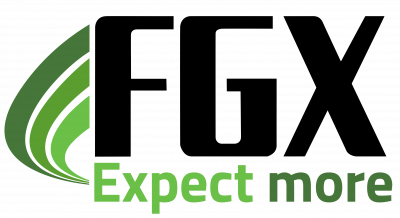 Procurement experience in areas of IT hardware, software and Labor. Supported global and regional teams in complete end to end Category Management from gathering and understanding business requirements to identifying best in class suppliers to putting contracts in place and ongoing Supplier Relationship Management. Currently supporting category sourcing, negotiation, and savings strategies and goals as the point person for Software and Telecommunications vendors, including IBM, Oracle, Microsoft, and other Fortune 500 suppliers for both Internal and Customer Facing at Gap Inc.
Janice has been working in the indirect procurement space for 10 years, covering a variety of categories from professional services to marketing, advertising and print services. Most recently she has supported the integration of Scottrade suppliers and services into the TD Ameritrade banner. Her current and future focus will be on large software initiatives at the firm. 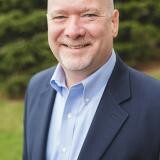 Dave Quillin has specialized in technology procurement over the past 14 years. He started his career selling technology for CDW then moving to procurement side. Dave has worked in a variety of companies over the years from traditional to nontraditional firms. 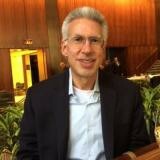 Dave is currently the manager of procurement and third-party risk management at Alliant Credit Union in Chicago IL. In his current role he is responsible for the procurement strategy as well as the third-party risk management strategy. He also been nominated as a 2017 Pros to Know. 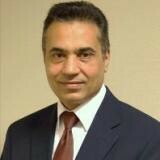 Fraz Baig has 15+ years of technical, sales, consulting, and procurement experience across multiple industries. 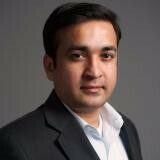 Fraz Baig currently leads Ace’s indirect corporate procurement team across IT, Supply Chain and Marketing. Fraz Baig is a co-founder of Flying Mustangs a non for profit organization dedicated to helping individual volunteers make a difference in their local communities. Sean Zongker leads the Technology Procurement team at Dell Technologies. 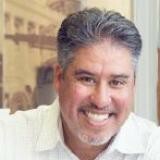 He earned his MBA from The University of Texas at Austin, and BBA from Avila University. Sean began his career, completing numerous technical certifications, in IT operations support at Koch Industries. Sean then joined Sprint where he gained deep telecommunications knowledge working in various technical engineering and operations roles. Upon completion of his MBA, he worked as a Program Manager on IBM’s Data Center Services account with the State of Texas. Sean finally began his Procurement career at Dell over six years ago as a Global Category Manager for Data Networks, which has led to his current position as the Technology Procurement Director. Leading a global team of eight category managers, Sean is an integral part of Dell’s Technology strategy implementation and optimization for Dell’s IT organization and technology business units. When not working Sean enjoys spending time with his family or attending his sons’ many activities. 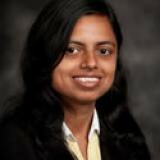 Revathi Koteeswaran is the Strategic Vendor Manager for the Hardware area with approx ~$300M annual technology spend spanning >25K SKUs with over 2 Million actively deployed units in over 50 countries. Additional Services spend under management include printing services, repair services and asset recovery and recycling services around the world. Prior to Google, Revathi spent 13 years at Oracle in a variety of Hardware Supply Chain leadership roles managing Manufacturing & Quality Engineering, Supplier Relationship Mgmt, Procurement & Planning, Worldwide Fulfillment, NPI and Product Lifecycle management. Revathi holds a Master of Engineering degree in Electrical Engineering from University of Central Florida and an MBA from UCLA Anderson School. Naresh is part of the Strategic Sourcing team at Salesforce, leading the Public Cloud category. Salesforce is the world’s #1 Customer Relationship Management (CRM) platform offering cloud-based applications for sales, service, marketing, and more that don’t require IT experts to set up or manage — simply log in and start connecting to customers in a whole new way. He leads the Public Cloud sourcing team working closely with the suppliers to ensure Salesforce has a full spectrum of legal, security and data protection terms in place along with best in class pricing. He's been building business processes that maximize contract compliance and optimize spend while enabling business users and engineers to use Public Cloud effectively. Naresh has been blazing the Public Cloud trail at Salesforce for the last 6 years, collaborating with every team with touchpoints to "IaaS/PaaS" including Tech & Prod, Corp IT, Finance, Strategic Alliances, and Sales. Prior to joining Salesforce, Naresh was a consultant at Infosys, where he helped multiple fortune-500 clients transform their Sourcing & Procurement operations. He has a passion for technology and a wide range of expertise in the public cloud and managed-hosting category as well as a deep understanding of the complex & evolving business processes. Greg is the Global Sourcing Leader aligned with the Assurance Technology team supporting EY’s worldwide Assurance/Audit capabilities. He and his team are responsible for all Procurement activities in support of IT’s delivery of the strategic and transformational projects delivered in support of the Assurance business. Greg joined EY in February 2015 and spent the previous 20+ years in various IT and Procurement roles; most recently with the American Cancer Society where he established the Technology Procurement function before joining the EY. Greg lives in Georgia with his wife, Amy, and their three children, Amber, Mason and Willow. He and his wife homeschool their children and they enjoy the flexibility and “anywhere/anytime” learning environment that provides. Li Jacobson drives strategic vendor and financial management for Kohl’s Department Stores, where she serves as the Director of Ecosystem Management for the Kohl’s Technology division. Her scope and responsibilities include strategic sourcing, procurement, VMO, and the end-to-end contract lifecycle management, IT Financial Management, Quality Engineering for Kohl’s. Jacobson works to align Kohl’s with the strategic technology partners that will drive the company forward and is responsible for key company initiatives that directly influence the bottom line. She leads large-scale negotiations with global and niche vendors while managing and supporting technology spend. Additionally, she manages the overall technology spend for Kohl’s, ensuring the optimization of the company’s technology investments. 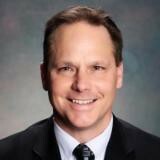 An accomplished and passionate leader, Jacobson has 15 years of experience in IT strategic planning and execution. Prior to joining Kohl’s leading IT strategy, she spent a decade with Northwestern Mutual, where she provided integral large program management to multi-year technology initiatives, including contract negotiations, strategic roadmapping, program delivery, and cross-functional team management. 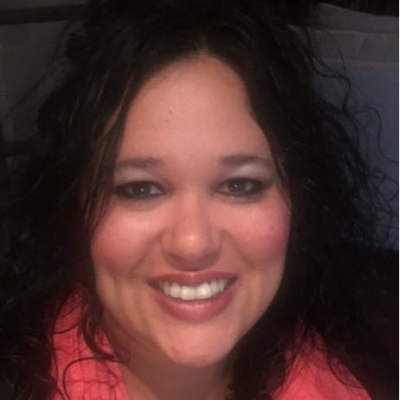 Jacobson has a Bachelor’s degree in Management Information Systems (MIS) from the University of Wisconsin Eau-Claire and a Master of Business Administration (MBA) degree from Marquette University. 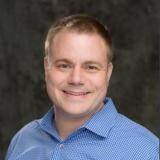 Bob joined FedEx Express in February 2001 as a Sr. Business Systems Analyst. During his tenure at FedEx, Bob has held positions focused on developing and implementing technology solutions in the areas of mobility, personal computing, and collaboration systems. 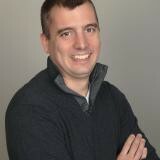 Bob joined the FedEx Services Sourcing organization in 2013 as an IT Sourcing Manager. 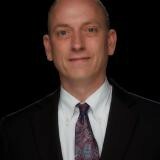 His responsibilities include leading a team of 7 professionals who manage enterprise IT categories such as managed print services, operational handheld devices, personal computers, network technology, and telecom. Bob serves on enterprise technology teams within the company that involve endpoint security and mobile center of excellence. Prior to joining FedEx, Bob was employed by Vail Resorts for almost 8 years in positions of MRO Buyer, Purchasing Systems Coordinator, and ERP project lead. Bob’s work experience includes implementing technology solutions, systems, and products to enhance employee mobility and productivity. 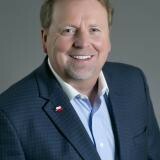 Bob has led a number of initiatives, including the implementation of an eProcurement system, deployment of a PC Lifecycle Program, and telecom expense management practices which have resulted in significant cost savings. Bob is active in the Air Force Association and he received his undergraduate education in Political Science from North Dakota State University. Bob resides in a suburb of Memphis and has a daughter that lives in Charleston, SC. Keith currently serves as Senior Director of Strategic Procurement at The Finish Line, Inc. where he and his team provide leadership and oversight on all indirect procurement spend. He earned an MBA from the University of Indianapolis and a Bachelor’s in Computer Science from Taylor University. After spending 16 years in information technology roles, Keith found a new niche and built his first procurement department at Sallie Mae. He then went on to successfully build direct and indirect procurement teams at several organizations. Patrick is Group Lead for the Software and Software as a Service Procurement team at Microsoft. This team is responsible for sourcing activities related to the purchasing and licensing of third party software and software/SaaS IP and services. He has over twenty years of experience in procurement, with the last ten being at Microsoft. He previously managed the Technical Engineering Services Category, as well as being part of the Procurement team for the Server and Tools business group. Patrick earned a Double Bachelor’s Degree from the University of Washington, with majors in Chinese Language/Literature, and Chinese Political Science. He speaks Chinese fluently and can read/write both simplified and traditional Chinese characters. Patrick has travelled extensively, having lived in Japan and China for extended periods of time, as well as various locations in the U.S. He currently resides in Washington State with his family where he stays busy balancing family life, work, community service, and outdoor activities. 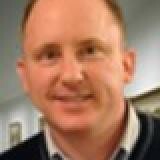 Sean O’Sullivan is a Senior Director within Intel’s Corporate Strategic Procurement organization. 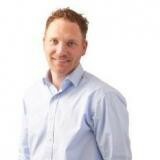 He has responsibility for IT Strategic Sourcing globally with dual reporting to the CPO and CIO. Prior to his current role he led Intel’s Sales & Marketing Strategic Sourcing organizations and was the Indirect Procurement function lead for Intel in the Europe, Middle East & Africa (EMEA) region. O’Sullivan is a 20 year supply chain veteran at Intel, joining as a college graduate in 1997 in Intel Ireland. Prior to joining Intel, O’Sullivan worked in the financial services sector in Europe. O’Sullivan holds a Bachelor of Business Studies Degree from Dublin City University and a Postgraduate Degree in Information technology from the National University of Ireland. More recently O’Sullivan has been part of Intel’s Leadership Action Learning program and has also studied Strategy in Action with Dr. Robert Burgleman of Stanford University. O’Sullivan lives in Chandler, Arizona with his wife and three children. A fourteen-year veteran of procurement, Gregg Fouch currently oversees U.S. and North America IT Procurement Sourcing for the life sciences company Bayer U.S. LLC. During his ten year IT sourcing career he has led sourcing initiatives for software, hardware, services and outsourcing engagements, yet he has only ever encountered one true M&M clause. A native of Pittsburgh, PA, Gregg has his Bachelors of Science in Computer Engineering from the University of Pittsburgh and his Masters of Science in Multimedia Technology from Duquesne University. Gregg has been a co-chair of the Society for Information Management IT Procurement Working Group since 2014. Lisa is an IT Procurement Business Partner in the IT Procurement team at Novartis. She provides sourcing leadership to Novartis’ global research and drug development organizations to enable innovative technology and scientific solutions to unmet patient needs. 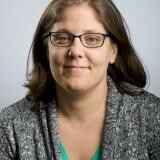 She is responsible for working with IT stakeholders and scientists to source third-party IT solutions and manage the IT supply base around the world. Additionally, Lisa is an experienced IT sourcing professional. Her credentials include leading IT Procurement activities in a variety of industries including financial services, energy, consulting, and pharmaceuticals. She has worked for leading Fortune 500 and multi-national organizations and is experienced in sourcing all aspects of IT including services, software, hardware, networked solutions, and telecom. 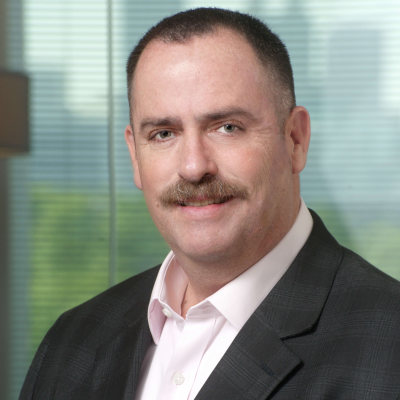 Michael Dobbin is Director, VMO in Dell’s IT organization. In his past role within EMC’s IT organization and in his current role, Michael is responsible for all activities supporting the organizations externally sourced Human Capital (HCM) needs. This includes Professional Services, Consulting, contingent labor as well as other areas of external indirect spend supporting the IT organization’s needs. As a skilled negotiator, and relationship builder, Michael has managed many large scale, enterprise-wide programs. A continued focus has been synergies, savings, supplier rationalization, process improvements, and leveraging supplier engagements to ensure that the right supplier, at the right price with the correct engagement models occur. His team also maintains the key strategic relationships with internal stakeholders, Tier 1 and Tier 2 suppliers, and IT’s procurement partners. Prior to Dell (and EMC) Michael has spent more than 20 years in various Business Operations, Administration and Procurement roles all in the Boston Area. 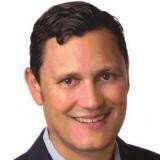 Brian McKinney is a Director of Strategic Sourcing in the Salesforce.com GPS organization. Brian leads a team that is responsible for sourcing, negotiation and supplier management activities for Software, SaaS, Collaboration, SMS needs globally. Brian is a seasoned professional with demonstrated strengths in sourcing a variety of categories and directing diverse teams to meet cost, quality and service objectives. Prior to salesforce.com, Brian spent 5 years at SAP and many years at Gap Inc. in Strategic Sourcing and Procurement capacities. Mike leads the global infrastructure team responsible for the design, deployment and operation of Airbnb’s internal global network, including voice, video & collaboration services. He manages the deployment and explosive growth of the voice and data services, which includes the global backbone, offices, data centers and partner network. 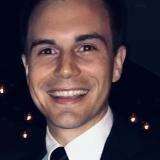 Dacquiri Connors is the Director of the Vendor Management office who partners with MTS (Media and Technology Services) execs to support their tech initiatives for Viacom’s 6 flagship brands. She has worked in Vendor Management in the media industry and knows what truly drives excellence. She uses her knowledge and expertise to enhance the areas of governance and relationship management. She has created and developed this excellence at other global media companies such as Sony Music and Bertelsmann. Dacquiri holds a BA in International Relations from the University of Virginia and holds project management certificates including CSM, LEAN Sixth Sigma and ITIL. 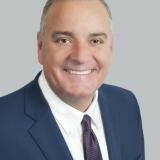 Eddie Cedeno, has 21 years of experience in Procurement with a broad range of expertise in negotiating indirect spend involving professional services, travel management, information technology, facilities management, employee benefits and talent management. Currently, he is the Sr. Manager of Contracts and Procurement with Parsons Services Company, an architecture, engineering and construction firm based in Pasadena, CA with past employment at The Walt Disney Company and City National Bank. Responsibilities include managing $1B in annual negotiable spend along with a team of professionals providing general business and sourcing consultation through independent reviews and critical analysis across the US and Middle East operations. 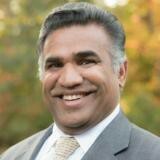 Babu Kuttala is Group Vice President, Advance Analytics at ABB. He is responsible for ABB’s big data and advance analytics strategy, operations and processes. He oversees all aspects of data life cycle management and deploying artificial intelligence, cognitive computing and machine learning solutions across all business divisions, and supports the growth of ABB’s business units by partnering with them on revenue-generating programs related to internal business process data analytics. Previously, Babu was IS Director at Honeywell, where he was responsible for developing and executing data architecture strategy that supported Honeywell Finance, Sales & Marketing and Supply Chain Management. Babu holds master’s degrees in Knowledge Management (California State University) and Computer Information Systems (Quinnipiac University), as well as an MBA in Strategy & Finance from Quinnipiac University. He earned a graduate certificate in modern systems architecture and engineering from the Massachusetts Institute of Technology and a Six Sigma Green Belt holder. 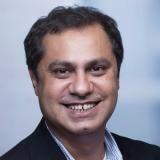 In 2012, Babu was named the IBM “Innovation Leader of the Year” for demonstrating leadership in embracing smarter commerce technology solutions. In 2003, he received the Smithsonian Award for Innovative Information Architecture and exemplary use of technology in the finance, insurance and real estate industry. Stephen recently joined Technicolor in August of 2017 managing IT sourcing. 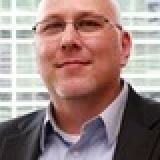 He was previously at VMware where he was responsible for managing IT software sourcing. 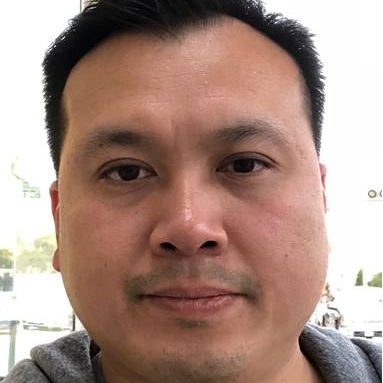 Prior to joining VMware, Stephen worked at Freescale Semiconductor where he was responsible for various indirect sourcing categories as well as led their e-sourcing transformation. Stephen is a graduate of the University of Texas where he holds a BBA in Finance and is based in Austin,TX. Andrew Russell was an inaugural attendee of ProcureCon IT, attending every year since and this is the third year as a speaker at ProcureCon IT. He is Senior Manager and head of the IT Vendor Management Office for Bridgestone Americas, Inc., subsidiary for North and South America of the Bridgestone Corporation, the world’s largest tire and rubber company. In this role, Andrew is responsible for developing IT sourcing and vendor management strategies, including programs that engage teammates and suppliers to innovate, drive value, optimize cost, and reduce risk for Bridgestone Americas. He serves on the recently formed Bridgestone Global IT VMO, which is setting the internal standards for Bridgestone global IT supplier strategy and governance. 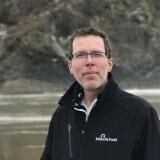 During his 20+ years’ experience, Andrew has a solid track record of launching and building global indirect procurement teams, negotiating significant cost savings and business centric terms for hardware, software, cloud professional services, and outsourcing agreements (MSP, ITO, BPO, ASP, etc.). He has also built strategic partner programs, led SW/HW audit teams and managed procurement portfolios. He served in procurement leadership roles for Asurion, Inc., Dex Media, Inc., Compassion International and owned two award winning startups including digital development and marketing in Colorado. He is a Certified Purchasing Manager (C.P.M.) with the Institute for Supply Management (ISM) and previously served 10+ years as a leader and Board Member of the Southern Colorado ISM affiliate. 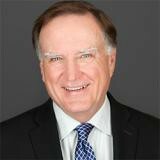 In 2005 he was recognized as the Institute for Supply Management (ISM) Innovation Person of the Year. Andrew is actively involved with his family, the Boy Scouts, and his church. He holds a BA from Belmont University and completed the Bridgestone/Belmont University Navigation Program for emerging leaders. 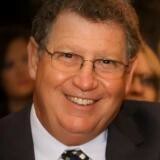 Michael Shaw is the Founder and CEO of the American Council of Sourcing and Procurement Executives (ACSPE). ACSPE membership serves more than 5000 practitioners including 750+ Chief Procurement Officers and SVPs Supply Chain. The focus of the organization is on the Future of Procurement and Supply Chain in terms of people, process and technology with an emphasis on technology because of its ability to dramatically change business processes and entire business models. 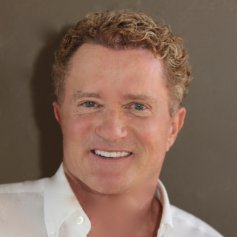 Michael is also currently serving on the board of the American Blockchain Council as an Executive Director. Prior to ACSPE Michael founded The Sourcing Source, a procurement industry analyst and executive advisory firm where he has worked with more than 350 Global 2000 organizations ranging from $250 million to $80 Billion in annual revenues providing guidance and insights for selecting procurement technology and services partners. While at TSS he was instrumental in developing the TSS proprietary Subject Matter Expert (SME) database covers more than 2000 categories and has identified more than700 subject matter experts providing the largest network of Sourcing Category Subject Matter Expertise in the world. Mr. Shaw has spoken at and chaired numerous industry conferences and was voted one of Supply and Demand Chain Magazine’s “Pros to Know” for 2014, 2015,2016 and 2017. Randy Roth is a managing partner at Corporate Contracts with responsibility for daily operations and has been with the firm since 2000. Randy is an expert in software licensing and specializes in the strategic sourcing of highly complex, enterprise-level applications and outsourced services. Randy has extensive experience with Enterprise Resource Planning software and implementation, HR/Payroll outsourcing, mainframe outsourcing, and comprehensive nationwide desktop services (including IMAC (Install, Move, Add, Change), tech refresh, break/fix, off premises support, etc.). Randy and his staff assist companies with the creation and implementation of strategic sourcing processes, policies and procedures. Randy manages some of Corporate Contracts’ key customer relationships and remains active in the IT sourcing community through industry sourcing groups. Randy has over 33 years of experience in IT and strategic sourcing including 13 years in mainframe, client server and object oriented development. He spent additional time in IT research and development before his permanent move to sourcing and procurement in an executive role. This role included the responsibility for all IT and non-IT procurement, Contract Management and IT Asset Management. Andrea supports organizations of all sizes as they seek ways to minimize the environmental impact of their purchase, operation and disposal of electronic equipment. She provides guidance to organizations about leveraging the EPEAT system to fit their needs and manages the EPEAT Purchaser Award program. Andrea has been with the Green Electronics Council since 2012, during which time she has worked with purchasers and sustainability groups to help them implement EPEAT in their purchasing and evaluation programs. She has also collaborated with retailers and resellers to connect their customers with more sustainable electronics, and has developed criteria-specific training for manufacturers. 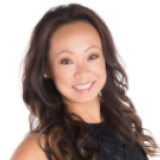 Prior to joining GEC, Andrea worked in communications for the Puget Sound Educational Service District and managed marketing and training programs in the real estate industry. 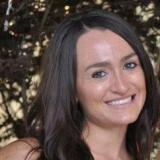 Andrea received her BA in Business Marketing from Western Washington University in 2003. With a 20+ year background in development and security, David Cross is a Principal Security Architect for Henry Schein. 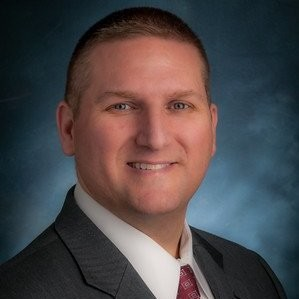 He's presented at AFCEA, Black Hat Arsenal, Data Connectors and other conferences including presenting award-winning software at major healthcare conferences including HIMSS. 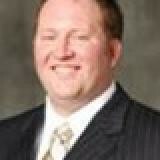 He is Past President of InfraGard SLC and served on the board of directors of UtahSec. David is a daytime hacker and nighttime coder, writer, futurist, nerd. He has submitted security bugs privately to many companies and is a strong proponent of bug bounty programs. David currently holds a few certifications: CISSP, GWAPT, GPEN, GCIH etc. and is the author of the Alexa skill "Hacker Mode"; created to immortalize some of his hacking knowledge into the collective consciousness of cloud based AI. 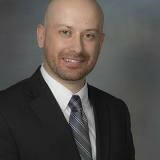 Dr. Rogers is an Assistant Professor of Operations and Supply Chain Management at Colorado State University. His primary research interests include the financial impact of supply chain sustainability, emerging logistics technologies, supply chain cyber security and various other emerging purchasing and logistics issues. Dr. Rogers’ work has appeared in multiple academic journals, corporate white papers, trade publications, and conference proceedings. He is also a frequent speaker at both academic and practitioner-oriented conferences. Dr. Rogers earned his B.S. and M.B.A. degrees at the University of Nevada, Reno and his PhD in supply chain management from Arizona State University. Prior to returning to academia Dr. Rogers worked as a purchasing agent for a large hotel-resort and as an operations manager for Quidsi, a subsidiary of Amazon. 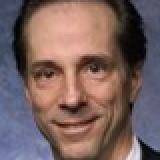 Ted joined PRO Unlimited in 2011 as the SVP of Product Development. Responsible for all aspects of PRO Wand, a SaaS-based Vendor Management System (VMS) solution, Ted and his team transformed Wand to address next-generation contingent workforce management requirements. 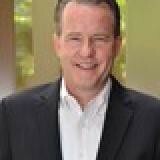 Prior to coming to PRO, Ted spent 10 years leading product development for SaaS/Cloud companies in the PPM, eDiscovery, payments, and HCM domains and 15 years before that building innovative, online products for financial services leaders such as Charles Schwab, Bank of America, and Wells Fargo. 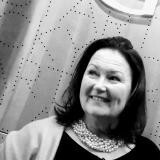 Mickey leads Insight’s major accounts team and global sales efforts. His team ensures Insight’s largest clients are fully engaged with the IT solutions they need. In his years of experience, Mickey has worked with some of the most recognizable companies in the world — helping them drive down IT costs and improve service levels. 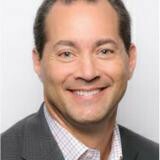 James Lucier is Chief Operating Officer for Net2Source, a global leader in talent and workforce solutions. As COO, Jim is responsible for building a customer-driven growth engine, executing go-to-market strategies, and driving client growth and success, while connecting it to the financial performance of Net2Source. He leads by example and is a hands-on practitioner, collaborating with every area of the organization, simplifying the way Net2Source works to better serve its clients. Jim recognizes that clients have many choices but may need help to make the best, most well-informed decisions. He embraces the transparency needed to build trust and valued partnerships. Jim consults with client executives and leaders of Procurement, HR, Talent Acquisition, Diversity and IT, to develop customized talent engagement and workforce management strategies for the Fortune 500 and Forbes Global 2000. A respected industry thought leader, Jim is a frequent presenter on topics related to the constantly evolving new world of work through organizations such as Staffing Industry Analysts (SIA), ProcureCon, and marcusevans. 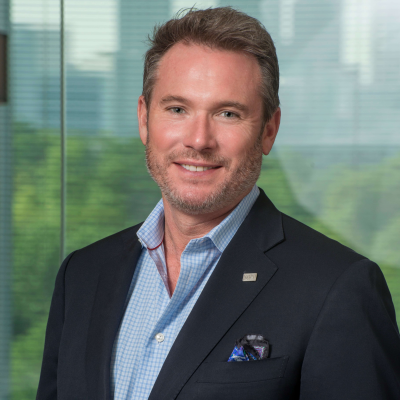 He also leads the Net2Source World of Work Tour, hosting informative and thought-provoking roundtable discussions with clients and market leaders around the world. 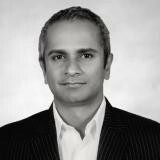 Aravind Kashyap is responsible for driving strategy, growth and delivery of Manufacturing and Consumer business unit. Aravind has over 25 years of diverse sales, management and consulting experience globally. Aravind has been spearheading Strategy, Execution, Go-to-Market, M&A, Alliances, Advisors and Analysts relationships to grow the business. Prior to joining Hexaware, Aravind has been instrumental in the growth of Wipro's Consumer (Retail, CPG, Media, Travel and Public Services) Business Unit, acquiring large outsourcing and transformational relationship with Fortune 100 companies. His work has helped global organizations leverage digital, integrated services, domain and I/P solutions to crush cost and grow sales. In his career, Aravind has played significant management roles at HCL, Capgemini, Satyam, Northern Trust Bank, Quinnox, and Larsen & Toubro. 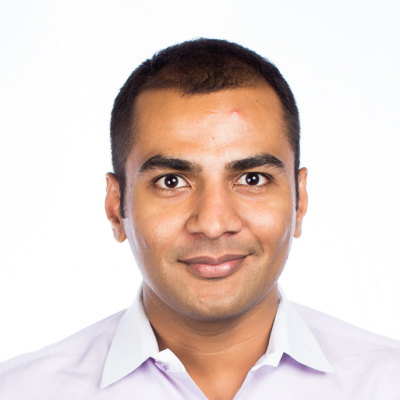 Aravind has earned a MBA from DePaul University Kellstadt Graduate School of Business, Chicago and Bachelors in Computer Science from PSG College of Technology, Coimbatore. Aravind is an avid speaker, writer and blogger on technology concepts and business innovations. He lives in Frisco, TX. 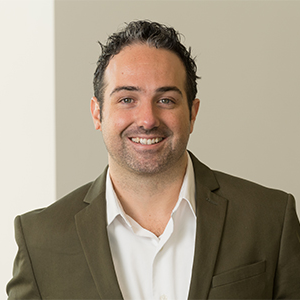 Sean Jarosh is an account executive at Dynamic ITAD, a full service IT asset disposition, data security, and electronics recycling corporation. With an emphasis on the healthcare sector and strict data security measures, he has over three years of experience providing customers with peace of mind that their retired IT assets are properly decommissioned. Prior to Dynamic ITAD, Jarosh spent seven years in the financial services industries. He has a BA in Liberal Studies from Viterbo University. spans more than twenty years. He has held numerous sales and sales management roles as well as running a successfulstrategy consulting firm. Prior to Rimini Street, Mr. Baron held various management roles at Xign Corporation, J P Morgan Chase, Automatic Data Processing, Blue Martini Software, lnQuira, SeeSaw Networks and Flexi InternationalSoftware. Mr. Baron has led verticalindustry segments such as automotive, telecommunications, and discrete and process manufacturing. His subject matter expertise has led to extensive public speaking engagements over the years at a variety of industry events. earned a B.A. in English from the University of Florida. Jean-Pascal (JP) Crametz specializes in competitive telecommunications pricing models, corporate network design and telecom services optimization and procurement. He has developed a suite of telecom pricing models and optimization techniques to help Global 1000 companies strategically source their portfolio of telecom products and services. JP co-authored the very first articles about bandwidth commoditization and has given numerous workshops and seminars on telecommunications policy, pricing, procurement, and bandwidth commoditization in the United States, Asia and Europe. He regularly consults for Fortune 100 companies on issues such as telecom benchmarking, service optimization, procurement practices, SLAs, and SLA remedies. Evan is the Senior Director of Delivery for SLC. Mr. Boyd brings more than 20 years of IT management, licensing and consulting experience to his client’s projects. 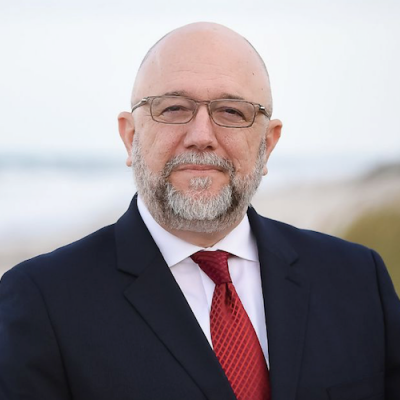 He began his career in healthcare and has worked as a CIO, Director of Information Systems, Network Administrator, consultant and HIPAA Compliance Officer. As a CIO, he was responsible for management of all information and technology, mentoring of staff, setting strategic direction, and providing leadership and oversight for organizational initiatives as well as contract negotiations. Under his leadership, Mr. Boyd increased customer satisfaction, reduced callbacks, and reduced operation spending by more than 10%, while increasing productivity. He has helped organizations with strategic planning, workflow process analysis, budget planning/tracking and staff engagement. 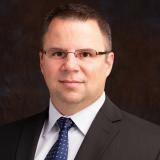 Stephen Sopko is the Co-founder and Chief Operating Officer at Palisade Compliance. His background includes 15 years leading sales contracts and compliance organizations for Oracle and Dell, as well as 12 years leading procurement organizations in the Government and Energy sectors. While at Oracle, Stephen was the Vice President for Contracts and Business Practices with over 300 staff across Europe, the Middle East, and Africa. At Palisade Compliance, Stephen leads the global advisory, analysis and contracts teams, as well as all business operations. 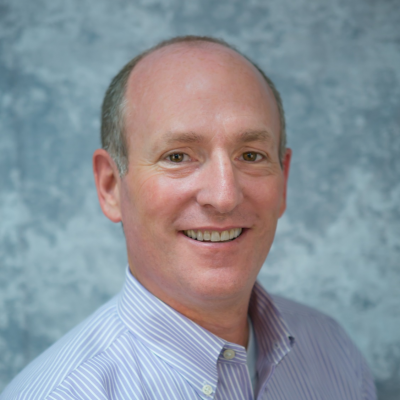 Jon Winsett is CEO of NPI, an IT Sourcing consulting company that helps businesses identify and eliminate overspending on IT and Telecom purchases. Under Jon’s leadership, NPI provides transaction-level price benchmark analysis, license optimization advice and vendor-specific negotiation intel that enables IT buying teams to drive measurable savings. Based on 15+ years of analyzing billions of dollars of IT spend annually for clients spanning every industry, Jon has deep insight into best practices in IT Sourcing. 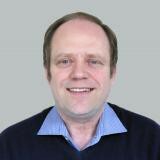 Prior to NPI, Jon was UK Country Manager at Seagull Software, a publicly-traded technology company. Jon holds a BS in Industrial Management from Georgia Institute of Technology. 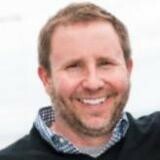 Dan Brewster is a Senior Consultant at NPI, specializing in Microsoft. Dan is a powerful asset to companies looking to optimize Microsoft licensing and cost, and get maximum value and flexibility in their enterprise agreements. Prior to NPI, Dan worked for Microsoft for 25 years, most recently as a Senior SAM Engagement Manager. He has front-line experience with Microsoft’s decision processes and behaviors, as well as PhD-level knowledge of Microsoft licensing and audit practices. Dan skillfully steps client buying teams through their licensing options, and helps them define and achieve the ideal financial and licensing strategy for their needs. I enable businesses to achieve peak performance by leading game changing business and technology transformations that deliver rapid growth and ROI. I have an entrepreneur's zeal, and continually keep on top of the latest research in tools, technology and methodology. I want to be ready for any disruptors as well as opportunities, so I can tackle them head on and devise multiple solutions, in close collaboration with executive partners and stakeholders. I love to wear multiple hats and can comfortably bend between the tactical and strategic; between consensus building and decision making. I have a deep appreciation for the customer mindset and drive healthy relationships with diverse technical and non-technical roles spanning all levels to deliver customer success. Please feel free to connect with me and email VijayinNepal@gmail.com if I can answer any questions or elaborate on my past experience. Mr. Roberts is the Founder and CEO of Teligistics (founded 1997), the leading telecom strategic sourcing and telecom expense management firm in the U.S.
Mr. Roberts received a U.S. Patent for developing the methodologies used in Teligistics' proprietary applications for strategic sourcing rate analysis. This methodology provides the data to determine the TCO "total cost of ownership" of telecom vendor contracts. A second U.S. Patent by Roberts is pending for Telibid™, the leading e-Procurement tool used by large Enterprises for launch and manage large, complex telecom-related RFP’s. Mr. Roberts has been directly involved in the procurement and direct contract negotiations on behalf of clients exceeding $10+ Billion in telecom contract value during his career. Mr. Roberts has been featured in many news and trade journals for his expertise on telecom contracts and billing issues, as well as serving as an expert witness in several high-profile telecom contract and billing related lawsuits on behalf of end-users. 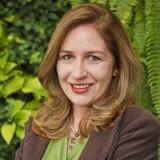 Tierra leads Insight’s operations and integration service’s teams. She helps to optimize workflow and efficiency in the department while driving strategic planning for employee development. Tierra has extensive operations, supply chain and production and material management experience. Tierra constantly searches for solutions to streamline processes and drives a culture of continuous improvement. 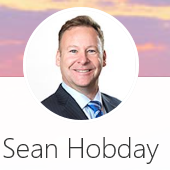 Sean Hobday is a Global technology supply chain leader with over 20 years of global supply experience. His expertise includes asset management strategies, global vendor consolidation, import reduction methodology, next gen IT procurement and cloud management. 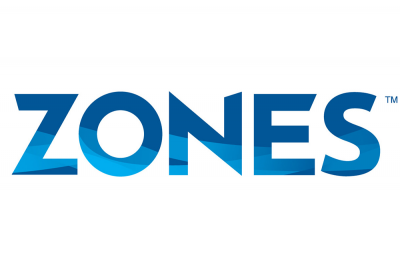 Sean has been with Zones for over 18 years and has extensive experience in working with Fortune 100 companies for the supply of IT hardware, software, and solutions. Jennifer has an extensive background as a Reality TV Producer, Writer and Director. Looking for a new challenge, she’s now brought her experience to the content creation and crafting of WBR’s ProcureCon Events, where the elements of event management, talent casting, audience engagement and great storytelling are just as significant – but don’t judge based on her background. She promises there will be no crying, fighting, drinks thrown, or tables flipped. At least, not until the first cocktail reception.